The Millsaps College Lady Majors Soccer Elite Identification Camp is set to run from 10 o’clock in the morning until 3 o’clock in the afternoon on the 25th of March. It will provide a great opportunity for participants to experience how it to train like a college soccer player. It is also the ideal ground to learn top-level technical and tactical skills. Furthermore, this soccer ID camp is going to take place at the state of the art Harper Davis Field which is on the Millsaps College campus. It is open to all high school girls who are serious about taking their soccer skills to college level. Moreover, the camp registration fee is $75 per player. There are only 30 spots available. Millsaps College is a private, coeducational, liberal arts college in Jackson, Mississippi. Its name is in honor of Reuben Webster Millsaps, a prominent 19th-century businessman, financier, and philanthropist. Millsaps College is an affiliation of the International Association of Methodist-related Schools, Colleges, and Universities (IAMSCU). It is also part of the Associated Colleges of the South (ACS) and the Annapolis Group. Additionally, Millsaps College is among the nation’s top educational institutions. As a matter of fact, it is 87th in National Liberal Arts Colleges, 2018 edition of the US News and World Reports Best Colleges rankings. It is also 80th in the Best Value Schools category and 84th in the High School Counselor Rankings. Currently, Millsaps College is serving around 800 undergraduate students. 51 percent of this undergraduate student population are male students and 49 percent are female students. This undergraduate student population is also through a selective enrollment acceptance rate of 59 percent. Correspondingly, Millsaps College’s student to faculty ratio is an astounding 9:1. In the athletics world, Millsaps College fields its men’s and women’s sports teams in the Southern Athletic Association (SAA) of the National Collegiate Athletic Association (NCAA) Division III. They are the Majors and the Lady Majors and purple and white are their identity colors. Sarah Arsenault from Jackson, Mississippi is the head coach of the Millsaps College Lady Majors soccer team. She is now entering her third season at the reins of the Lady Majors soccer program. Coach Sarah Arsenault is a bachelor’s degree in sports management graduate from Slippery Rock University. Additionally, she is the former head coach of the State University of New York at Canton and the former assistant coach of Waynesburg University. Coach Sarah Arsenault is also a former college soccer player standout. In fact, she is 2001 Pennsylvania State Athletic Conference Rookie of the Year. Coach Arsenault was also a National Soccer Coaches Association of America (NSCAA) First Team All-American selection and a two-time Player of the Year awardee. She is the holder of Slippery Rock’s all-time school record for most number of goals. Then, the Millsaps College Lady Majors assistant coach is Emily Crawford. Coach Crawford is now in her second season with the coaching staff. She is a bachelor’s degree in sports management graduate from Plymouth State University in New Hampshire. She was part of Plymouth State’s team that appeared in three Little East Conference tournaments. 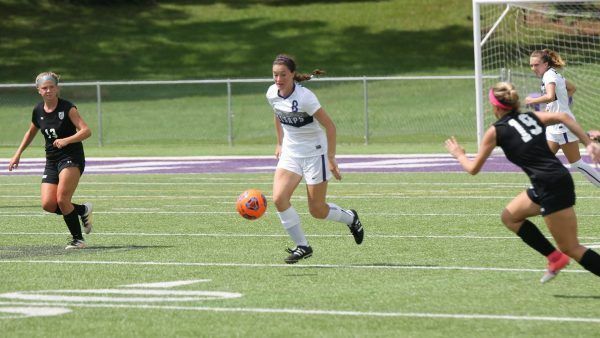 The Millsaps College Lady Majors Soccer Elite Identification Camp is a high-level and fast-paced soccer training program for girls who desire to play at the college level. It is going to take place at the leading-edge Harper Davis Field, the home of the Millsaps College women's soccer college team. The training experience wil bel challenging but enjoyable.